Run Time: 85 Minutes. 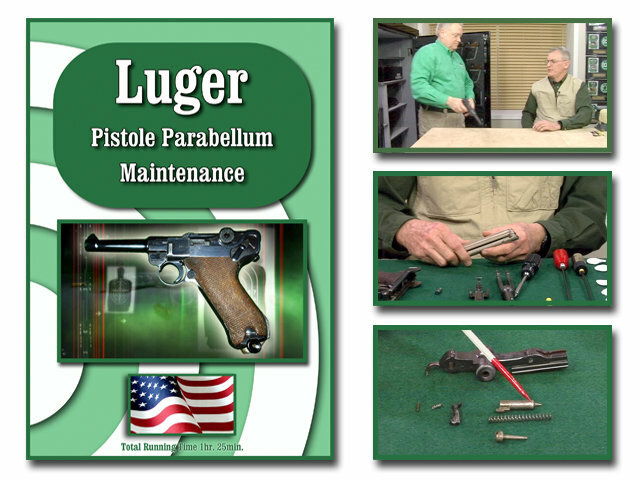 This DVD covers the Pistole Parabellum better known as the Luger. Collectors, Armorers and New Shooters will find this DVD useful in maintaining these historical firearms. Dave Litchfield retired Marine Colonel and avid firearm collector covers topics including the General Safety Check Procedure, Field Strip Procedure, Cleaning and Lubrication, Detail Disassembly, a Historical Overview and a review of Tools and Accessories. All On-Target's DVD's are digitally produced and provide clear and concise instructions. We at On-Target take great pride in the up-close videography of each DVD.